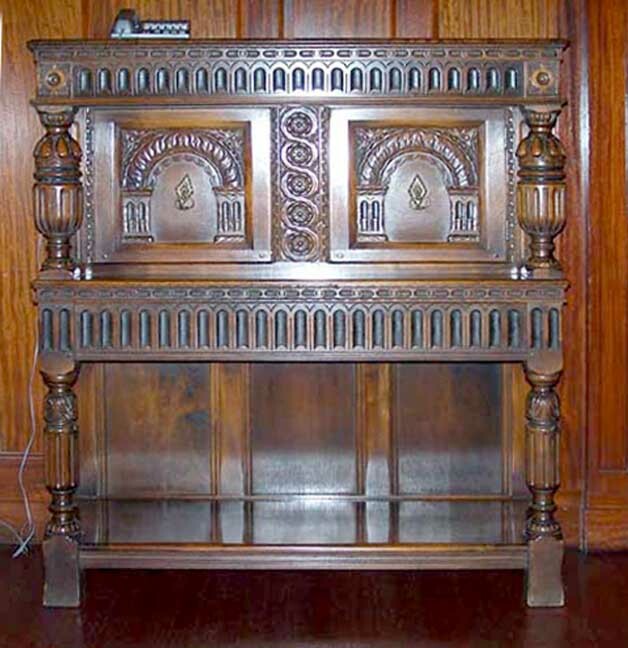 The original court cupboards were made only in Massachusetts and Connecticut of oak with pine top and bosses and split turnings of native hardwoods. Most examples are in museums or fine private collections. Always a high-priced rarity. Takes its name from the French word court, meaning "short," and designates a short or low cupboard. Upper part: Made in two parts, the upper one has a flat top. Below it is a cornice frieze, that is carved in low relief. It is supported at corners by baluster-turned columns, withmelon bulb turnings.